Insight. Guidance. Knowledge. Go from searching to finding in the Denver Metro Area! Read the full Devil’s Food review here! 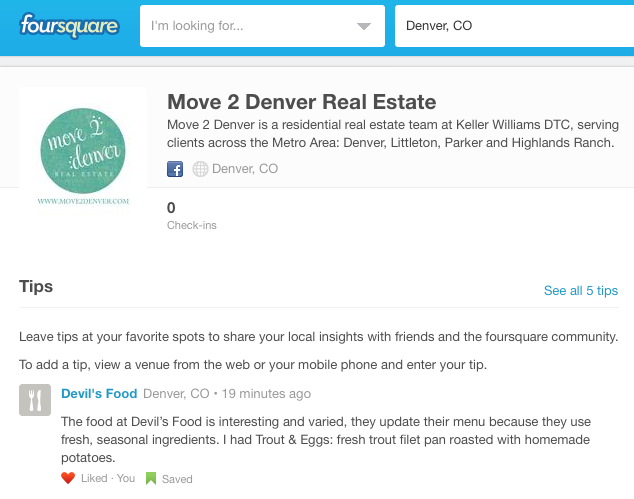 For additional Foursquare tips, click here!